The story of Indian sports has long been the same, characterized by the lack of funds, exposure and most importantly, general apathy of the public. One often wonders why India never performs well at international competitions like the Olympics and other multi-disciplinary events. Many have wondered why a nation as vast and populous as ours, seems incapable of producing athletes who can win at the big events on a continuous basis. Many answers have been provided, while many cynics have claimed that Indian sportsmen are not strong enough, either physically or mentally, to compete with the world’s best. To be precise, the Indian athletes’ journey has never been a very prosperous one, perpetually smeared by the bureaucratic red tape and general disinterest. Yet, through years of negligence athletes in India have continued to struggle within their means and have been working diligently with whatever little resources at their disposal, with the aspirations of bringing glory to a nation that has unfortunately never valued their contribution. In the recent years however, India’s performances at the world stage have provided a glimmer of hope for its sports fans, with Abhinav Bindra’s historic Gold in Beijing and Sushil Kumar and M.C Mary Kom’s efforts in London. As a result, the Indian public too has started taking more interest in the proceedings. Recently, Sportskeeda in association with a non-profit organization, Nurturing Excellence in Sports Trust (NEST) launched a crowdfunding campaign on the site Bitgiving to finance a young prodigy who has been taking the Indian athletics circuit by storm in the recent years - Beant Singh. The campaign was a tremendous success with the target amount of Rs. 50,000 being raised within five working days, due to the concentrated efforts of the Sportskeeda team, and unconditional support by Bitgiving. Beside this, what emerged as a big ray of hope for Indian athletes, was a certain, Mr. Asad Raza and his company IndiaQBank.com. Having come across the link to contribute to the campaign on the Internet, Mr. Raza, through his company IndiaQBank.com decided to contribute and take responsibility on a much deeper level and took to sponsoring Beant on a permanent basis. 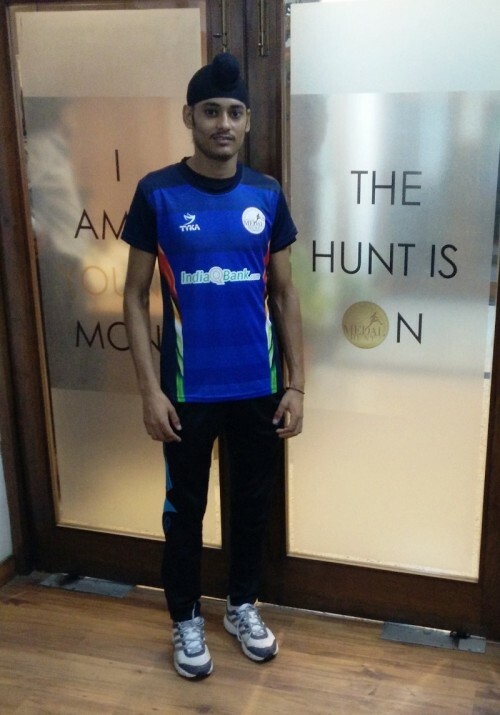 Besides sponsoring Beant Singh, Asad and his company in their short stint in India have already assisted numerous other sportsmen in dire need of training funds to simply try and perform at a level playing field as that of their international competitors. IndiaQBank.com in association with Anglian Medal Hunt Company, has already agreed to fund Olympic medal hopeful Lalita Babar as she prepares for her first tryst with the Olympics in the 3,000m steeplechase event, in Rio 2016. Besides this, Mr. Raza personally contributed a sum of Rs. 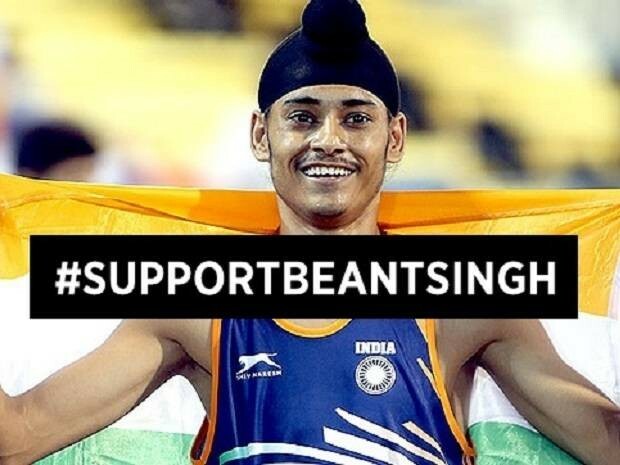 50,000 to the crowd funding campaign, run by the Sportskeeda team for India’s premier medal contender in Rio next year- shot putter Inderjeet Singh; who despite being one of the first Indian athletes to qualify for the mega event scheduled for next year and winning 8 consecutive gold medals this season, does not have enough funds to simply meet his dietary requirements on a monthly basis. Thus far, Asad Raza and his company IndiaQBank.com have been relentless and unconditional in their support to Indian sports, and with their backing India as a nation can most certainly look forward with a little more hope and a little more expectation to perform better at the international arena and bring glory to a nation which has been long bereft of icons in athletics.